One of the main arguments that restaurant associations use with politicians when trying to dissuade them from supporting bills making menu posted calories mandatory is that it'll cost a fortune to police. Well, at least in the States (where I'm told there are more lawyers than in the rest of the world combined), perhaps it'll be policed by the people. 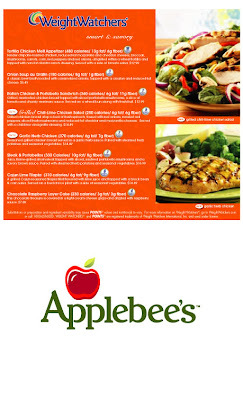 Witness the new class action lawsuits being launched against Applebee's, Chili's, On the Border and Macaroni Grill for calorie and nutritional fraud. "Defendant's actions and practices, including misrepresenting nutritional content of menu items, facilitating the menu inaccuracies, and/or allowing the food to be prepared in a manner which changes the nutritional content without adequate disclosure, is an unfair, unlawful and deceptive business practice in violation of the California Civil Legal Remedies Act, Civil Code section 1750, et seq. ; the California Unfair Competition Law, Business and Professions Code section 17200 et seq. ; the California False Advertising Law, Business and Professions Code section 17500, et seq. ; and have resulted in the Defendant's unjust enrichment"
I've got to say, I think it's great that someone's standing up for themselves. Certainly the only folks who care about calorie counts are folks trying to lower them and if Big Food has been willful in their deception, they should not only be ashamed of themselves, they should pay. I've also got to say that the description of the consequences of eating more calories than you'd planned as, "unjust enrichment", is an absolutely delightful use of the English language. UPDATE: A kind lawyer who reads my blog has let me know that "unjust enrichment" actually refers to the unjust enrichment of the pockets of the restaurant due to the misleading representations of the food.